It’s possible to watch replays. It works without any kind of program or file manipulation, so you will definetly stay on the safe side. Starting a replay works in a way that you throw a parameter with a replay link towards the game and the game decides to load the replay file. First, you need a way to deliver the parameter. To do that, create a shortcut of the “HeroesSwitcher.exe”. It is located in the “Support” folder of Heroes’ installation directory. It does not matter where you place the new shortcut. So, just navigate to a replay and copy paste its path. Start Heroes and log into battle.net. “Alt + Tab” out of the game to return to your desktop. Then start your shortcut and return to the game. It should start loading the specified replay file. Right now, watching replays is extremly buggy. Since Blizzard didn’t add a replay menu into the battle.net UI, it is most likely that the replay feature will receive a complete overhaul. 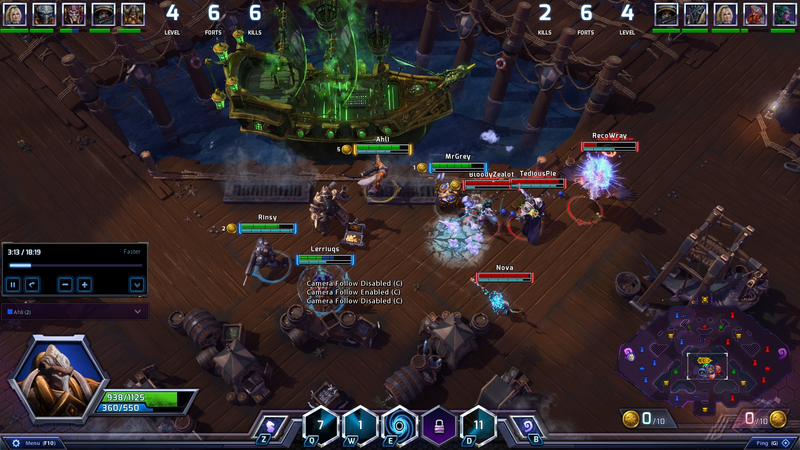 That’s why I would suggest that you don’t report bugs you encounter until Blizzard adds a replay-starting UI into the game. The hotkeys are similar to the ones in SC2. So Ctrl+W hides the bottom UI area. Y or Shift+Y (or is it Z?) zooms in/out. In addition to that, it is possible to view the selected talens of the other players. Here is a guide for watching Heroes Replays if you play on a Mac! This should now switch you back to Heroes and automatically load the replay you gave it. Note: There can be replays saved that were from a previous patch of Heroes. So if you have recently patched your replays from the previous patches will not be viewable. It will give you an error that a different version of Heroes is Required.